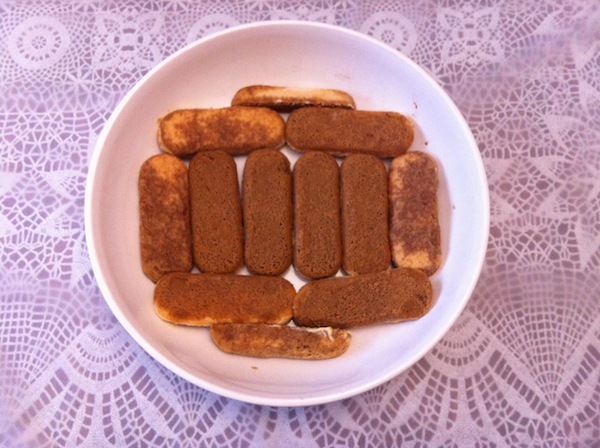 Tiramisu is a very special dish in my family which Mum only whips up for special celebrations. After a fair bit of begging Mum finally agreed to share her recipe. Being a true ‘Home Chef’ this Tiramisu is just one of many signature meals she makes expertly, so stay tuned for more recipes in time. Please enjoy and share with your family and friends too, this is a must make! 30 gms of soft goats cheese. This gives the mascarpone layer an incredible flavour that is still quite subtle. We love Aldi’s Emporium Selection Natural Goats Cheese. 3-4 tablespoons of liqueur – like Galliano Espresso, Amaretto, Kahlua, etc. Beat egg yolks and sugar until both ingredients are combined well and evenly. Fold in Mascarpone and gently mix through with a wooden spoon. In a separate, preferably flat bowl or deep plate place your coffee. 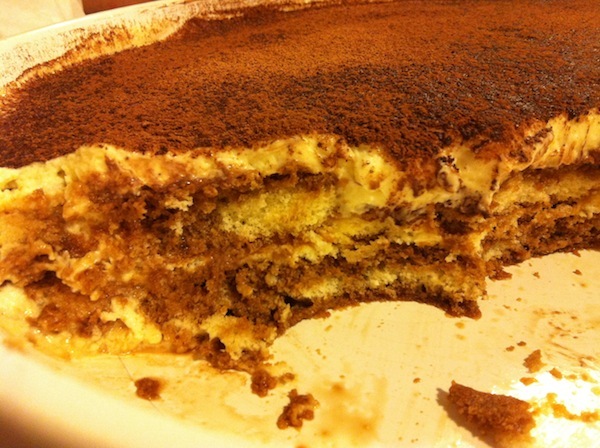 If you are making your Tiramisu with liqueur then add it here. 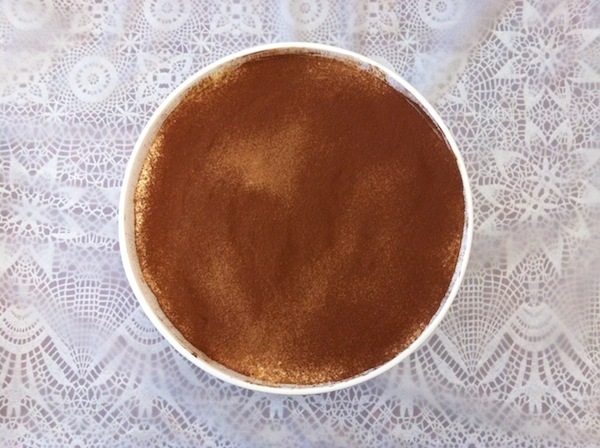 Dip the Savoiardi in the coffee and place a layer in a deep pan or dish to serve the Tiramisu in. There should be two layers (depending on the size of your pan), ideally 10 Savoiardi on the base layer and 10 on the second/top layer. Once you have placed the soaked Savoiardi on the first layer, place just under half of the Mascarpone mixture on the layer of Savoiardi. Ideally place the mixture in the middle of the Savoiardi layer and with a spatula spread the Mascarpone out across the Savoiardi to cover them. Do this gently to avoid breaking the Savoiardi which are delicate from being soaked in the coffee. Repeat the above two steps until you have your second layer of coffee soaked Savoiardi and your second and final layer of Mascarpone (note: the Mascarpone is always the final/top layer of the finished dessert). 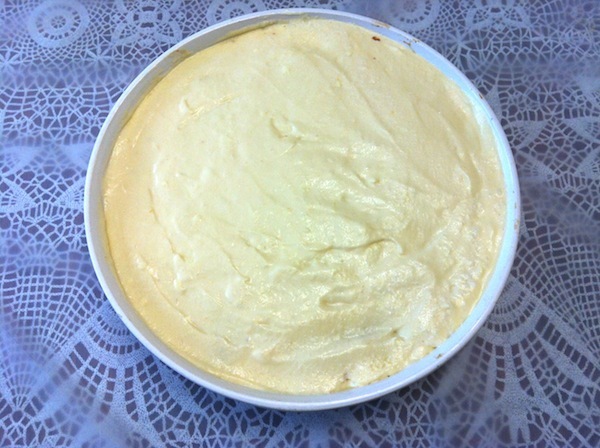 As the Mascarpone remaining for the final layer will be a bit more than the first layer, use the extra amount to cover the four sides of the dessert so that none of the Savoiardi are visible. Dust the top with cocoa powder and once covered, cover in cling film or foil and place the Tiramisu in the fridge for a minimum of 5 hours (overnight is best if possible to allow the flavour to develop). 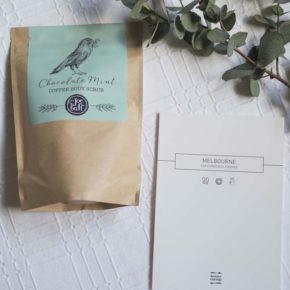 Serve with Vinsanto, coffee or Port. Notes: Once you develop your style making Tiramisu you can experiment with the amount of goats cheese, different liqueurs and sponge (sometimes we use left over Pandoro or Panettone around Christmas time). When dipping the Savoiardi into the coffee, leave them 1-2 seconds on each side to absorb the coffee. There should been an even amount of liquid in the biscuit (not too dry otherwise it won’t taste as moist, and not too wet as the biscuit will fall apart).